Aubrey (b. 2006), Micah (b. 2008), and Hannah (b. 2010). 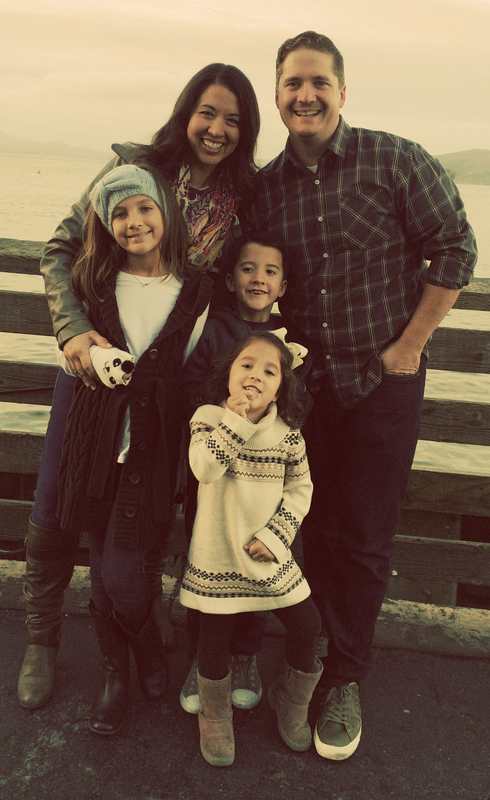 Brenton earned a bachelor's degree in Pastoral Leadership from Vanguard University (Costa Mesa) in 2002, and then a Master of Arts in Theology from Fuller Theological Seminary (Pasadena) in 2010. Rachel also went to Vanguard University, graduated with a Liberal Studies degree and a teaching credential, and has been teaching elementary school since 2002. She currently teaches a Kindergarten class. After spending nearly 12 years on staff at a great church in north Orange County, they learned the value of a local church and how to love and pastor a community. In 2014, Brenton & Rachel began to dream and wonder about one day starting a new church... because there is still good news to share! Sean and Shirley Jackson are also pivotal members of our pastoral team. They have been a part of the RefugeOC story since the beginning. A husband of almost 20 years, Sean tends to round up a little (exaggerating is what story tellers do). His wife Shirley Jo is the best thing that could have happened to him (that is not an exaggeration). He is a Father to two kids that are pretty cool in his eyes. A daughter, Isabella, who just brings a smile to his heart everyday because she is so intuitive and can read his mail before any of the best therapists. As well, their amazing son Christian, who is prolific in every sport especially if it has gear that needs to be purchased. He is a business owner and is supported by an amazing team of co-workers who have a deep passion for what they do so Sean can do what he is led to do. The Jackson 4 are very active in charitable work through his company and various ministries they participate in. His mission with his wife and family is to share the love of a Savior that has been so graciously been bestowed on him. Nicky and Jason Stade are the newest members of the RefugeOC pastoral team! Nicky is a Licensed minister with many years of church experience, and is passionate about helping people of all ages realize their value, understand their purpose and feel empowered to step out of their comfort zones so they can walk down the path that God has prepared for them. She knows that if God can transform her life through His grace, He can do it for anyone! Nicky’s husband, Jason, has enjoyed a long career as a cardiac sonographer (ya, Google that! ), and has been involved in different aspects of church ministry alongside her. Married for nearly 20 years, they have three amazing offspring: Matthew is a freshmen in college (he recently moved to Philly) and is crushing the #adulting thing so far; Joey is a senior in high school and can find humor (and a meme) to fit any situation; Emily is a freshman in high school, and is often referred to as the “adult in the family”. Together they can usually be overheard laughing (loudly) or speaking in “movie quotes”. to a clearer vision of God. Why the name RefugeOC? More than just a name for our new church plant, Refuge speaks of who we are and what we hope to become for the community of Orange, CA. Refuge is often described as a characteristic of God (think Psalm 62:8), and there is great importance given to places of Refuge throughout scripture. RefugeOC seeks to reach people who are not likely to be found in traditional churches, letting them experience a big and powerful God, then sending them back with good news of the Kingdom to their places of work, school, families & friends. Actually, yes we do. More people are finding a relationship with Jesus Christ and a clearer understanding of God as a result of a new church plant than any other way. Think of it like a radio. RefugeOC will be a new frequency on the dial. We will certainly appeal to some, but not to everyone. And that’s OK. Because church is not a competition. There are other great churches in the city of Orange, and throughout Orange County. Our hope is to provide the kind of frequency on the dial that will introduce and re-introduce people to a clearer vision of God. This changes everything! RefugeOC is being planted with the backing of the Assemblies of God Church Multiplication Network (CMN), an organization committed to helping churches get started with good traction! Churches planted with the assistance of the AG Church Multiplication Network have a success rate of 98%. RefugeOC is also affiliated with and has the full support of the Southern California Network of the Assemblies of God. This relationship provides accountability and support where needed in the church plant process (and beyond). • Christ-Centered. Jesus is our hope and cause. • Gospel Focused. God’s Word is the basis for who we are. • Committed to Generosity. Generosity changes people. It is a privilege to serve our world. • Hoping to serve the world. Accomplishing God’s mission through our time, resources and action. • The Bible is God’s inspired word and reveals his design and plan for humanity. • There is only one true God—revealed in three persons: Father, Son, and Holy Spirit. • We believe in the deity of Jesus Christ and that as God’s son, Jesus was both fully human and divine. • God created humanity as good, but humans willingly fell into sin bringing evil and death, both physical and spiritual, into the world. • Every person can have a restored relationship with God through salvation (accepting Christ’s offer of forgiveness for sin). God supernaturally empowers us with gifts and abilities to make an eternal impact upon the world and be a genuine witness to others. God still moves in miraculous ways and is eager to touch our lives in times of need.